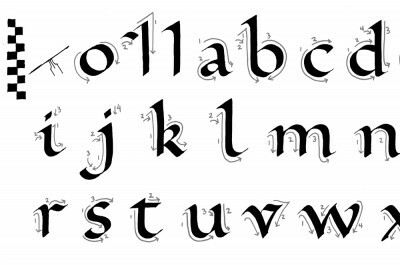 Calligraphy is “slow writing.” As the art of simple handwriting becomes more rare, learning to write slowly and beautifully is a meditative and rewarding practice. This spring I’ve been teaching a class designed to demystify the tools and materials of my trade. If you have ever wondered what to do with that calligraphy pen with the funny tip, this class is for you. Scribal secrets revealed! 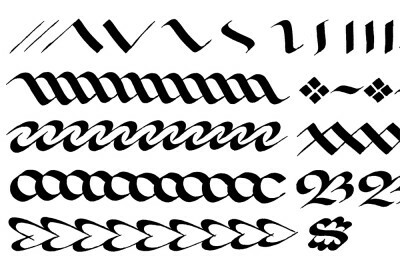 “Make Your Mark: Calligraphy Tools and Techniques” will next be taught on Saturday, May 7, from 10 to 4, at the University Art store in San Jose. 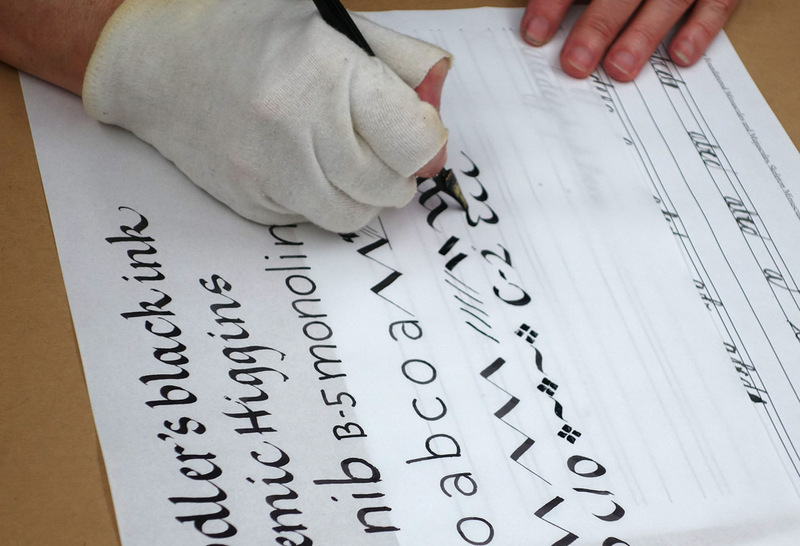 This class presents an overview of the tools of calligraphy: dip pens, fountain pens, pencils, brushes and markers. Different inks are discussed, as well as best papers and other surfaces. 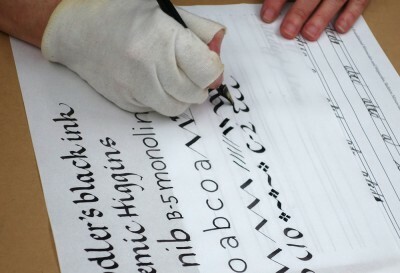 Demonstrations also include writing with large pens, brush lettering, and unusual pens. We explore ways to fill the nib, keeping the ink flowing with reservoirs, , and writing with color. 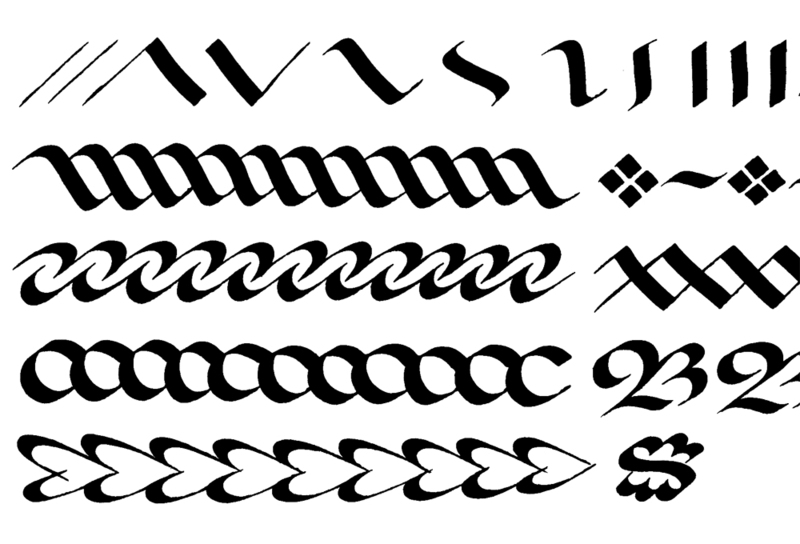 Learn to write with a variety of tools, including broad and pointed nibs, and understand different alphabet styles. As time and interest allow, techniques for working on projects are shown. If you are interested in signing up for this class, contact me directly. You are welcome to bring any calligraphy pens you already have to class. A supply list will be sent with registration confirmation. If you cannot get to the class but are still interested in trying your hand at this time-honored art, much of what I teach is included in my instructional books. 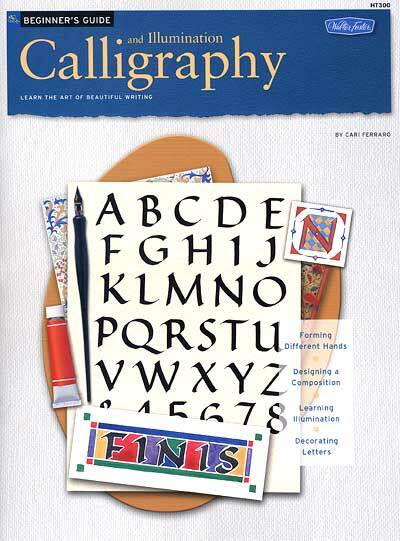 Beginner’s Guide: Calligraphy and Illumination, published by Walter Foster in 2007 (cover pictured above), is out of print but can still be found through the secondhand and remainder market. 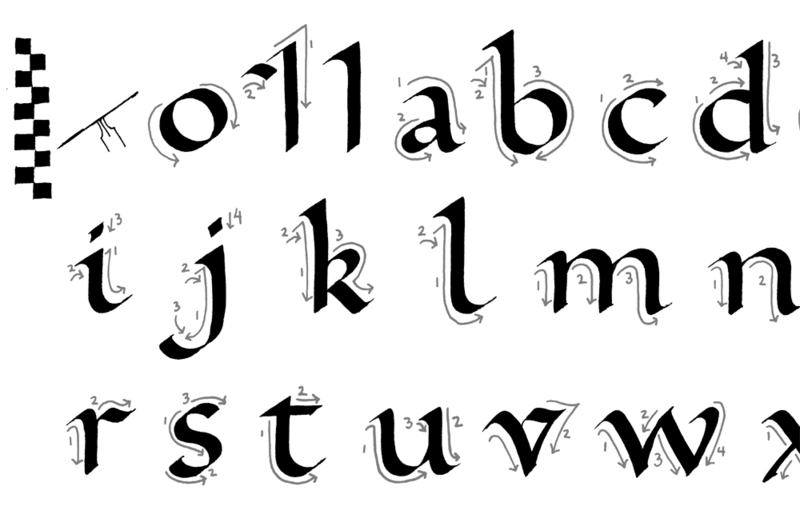 It is my favorite for its reproductions of my alphabet exemplars at the actual size I wrote them, so that with a Speedball C-2 or a Mitchell size 1 nib, you can trace them until you get the hang of writing them freehand. 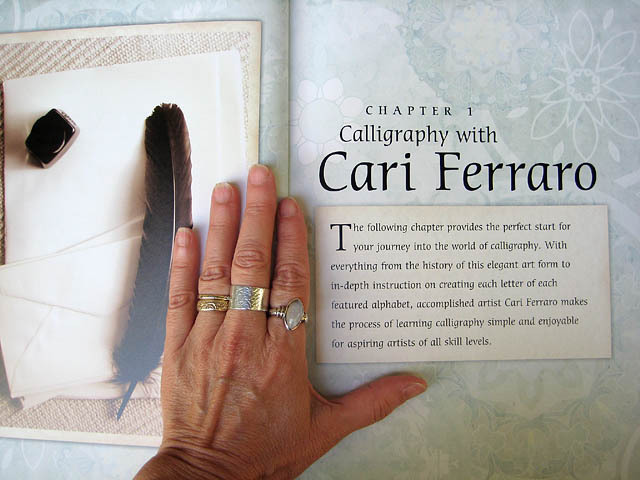 The same content is also included in The Art of Calligraphy and Lettering, published in 2011 and still widely available (a page pictured below).